Excitement is in the Air! 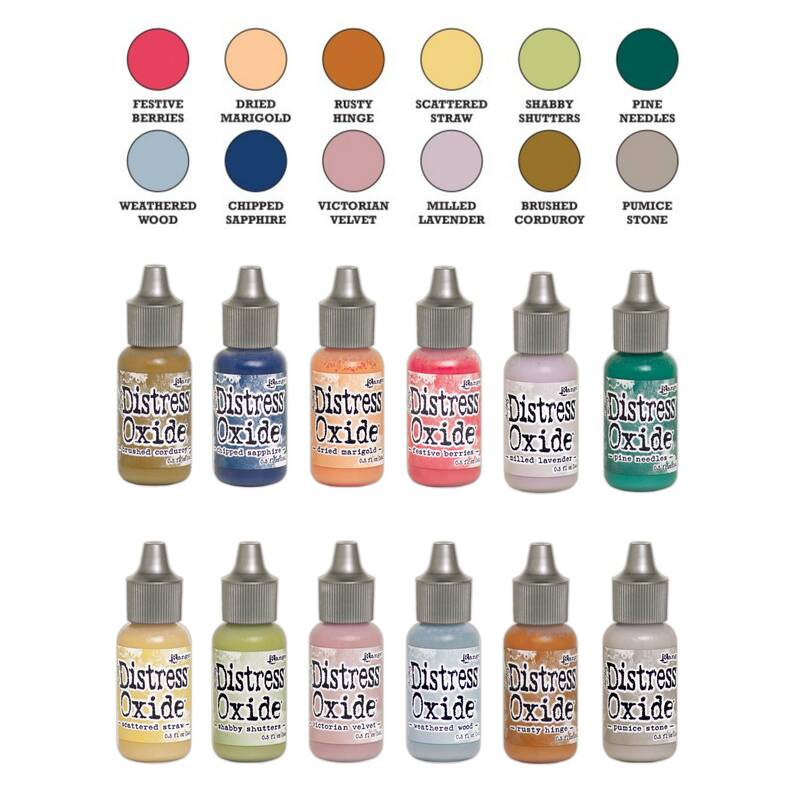 Introducing 12 final colors of Tim Holtz Distress® Oxide Reinkers. Be one of the first to get this Beautiful New Bundle! The next Release of Distress® Oxides Inks will be arriving soon- introducing Release #5 with 12 Brand New Colors for Winter 2018. This Release is the final Release of all the Distress Oxides. 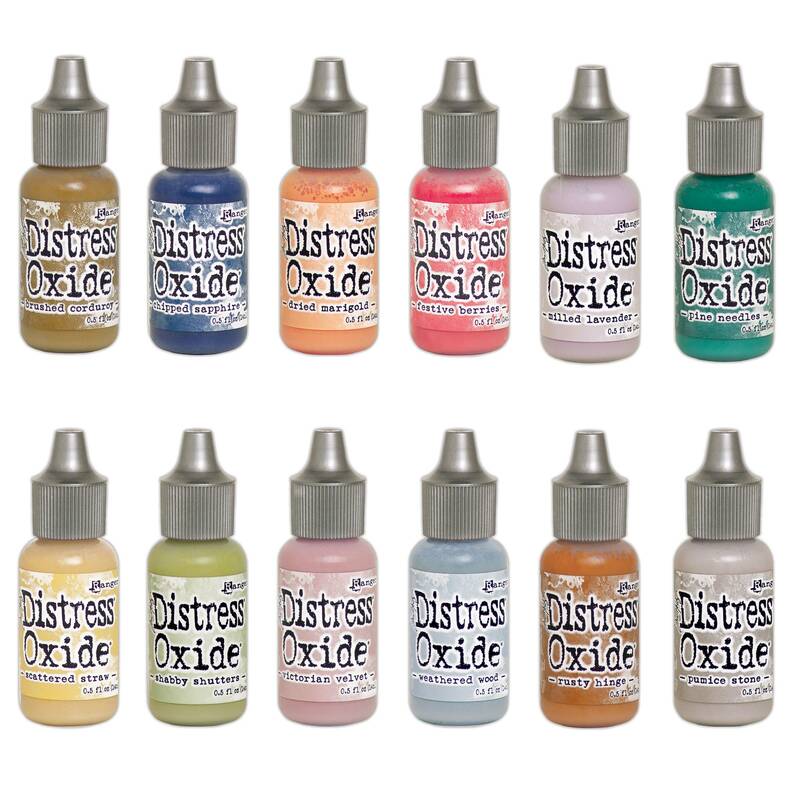 Please Remember this is a Pre-Order, the Distress Oxides are scheduled to arrive by the End of October to Early November. Tim Holtz Distress® Oxide Ink Pads are a water-reactive dye & pigment ink fusion that creates an oxidized effect when sprayed with water. Use with stamps, stencils, and direct to surface. Blend using Ink Blending Tools and Foam. All Oxide colors are available in 3” x 3” ink pads (Sold Seperately) and coordinating .5 oz re-inkers.